SKU: 4515 Orange. 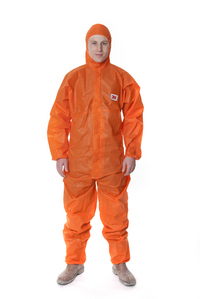 Category: DISPOSABLE COVERALLS, Disposable Coveralls. The 3M 4515 is available in a wide range of colours. The breathable fabric is designed to offer protection against hazardous dusts and limited liquid splash. 20 Coveralls per case.